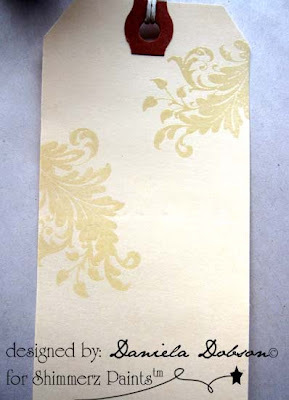 I know that Christmas is this week, but I wanted to make some love tags. Red is a good color and it can be used any time of the year. For these tags I used Bed of Roses Shimmerz Spritz and Licorice Spritz. I had recently cleaned my space and found a ton of fun things to play with. 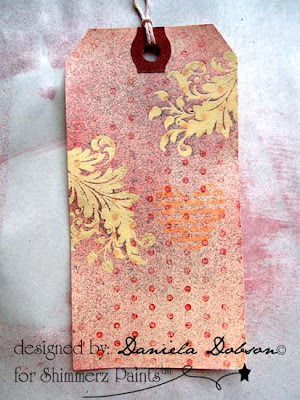 I stamped the tag with VersaMark ink and then embossed the image with clear embossing powder. 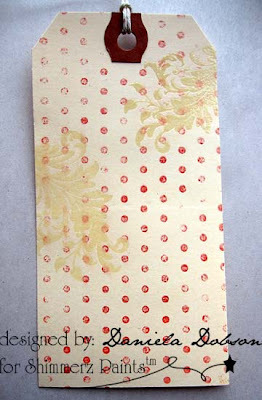 I stamped the background with a polka dot stamp. This is where the magic begins. First I sprayed a light color coat with Bed of Roses Shimmerz Spritz. I used a towel to gently wipe the embossed areas, and the tag. I sprayed with Bed of Roses, again, and then added a light coat of Licorice Shimmerz Spritz. I wiped the embossed areas and this time I got that Licorice color in the grooves of the embossed image. 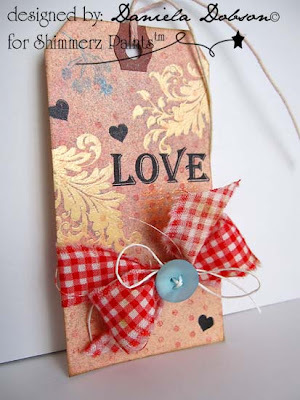 I added some stamped hearts, Love sentiment and a fabric bow with a button. 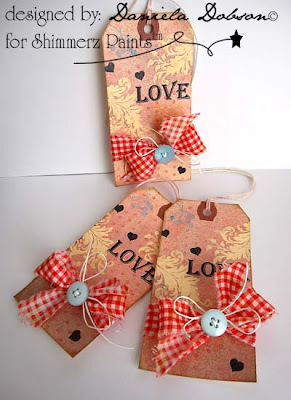 Perfect gift tags for that someone special. What a great idea! Bed of roses is my favorite color, finished it in only a few weeks so I really need to get me a new one. Thanks for the inspiration. Very nice Tags! I like the embossing Swirls! Thank´s for inspiration! Love this tag. Can't wait to try this. These are gorgeous - totally have to try this. Thanks for sharing with us. Girl, you are the queen of tags. Super cute! This is so adorable! 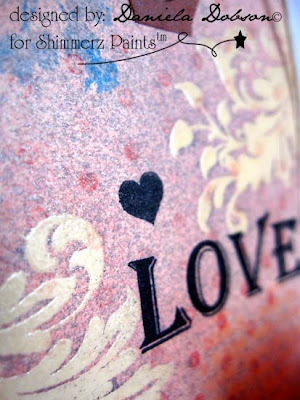 I love the picture, embossing, everything!